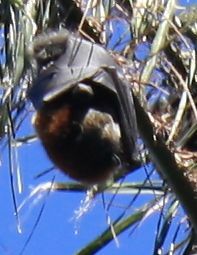 We have visited the Royal Botanic Gardens in Sydney Australia many times and it is a fantastic park with lots of everything botanical: grass, trees, plants of all sorts and then there are the bats. 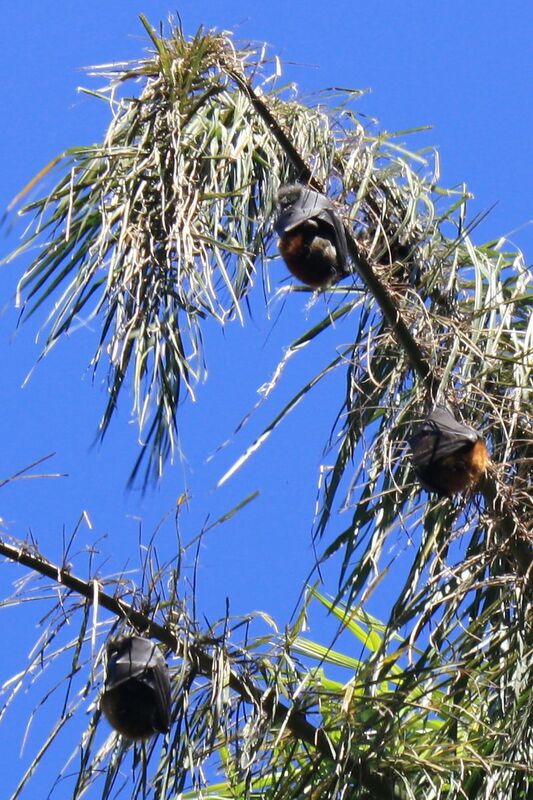 These are the fox bats that live in the trees during the day and fly at dusk to the west where they can feed on fruit. These are not your little mouse size bats but are more the size of a cat or a small fox hence their name I suppose. During the day they hang from the branches and occasionally move up or down the branch and sometimes fly to another tree. And they make their bat noises. Interestingly enough, there seems not to be evidence of piles of bat dung or guano on the ground and pathways, thankfully for we who walk below these little beasts. 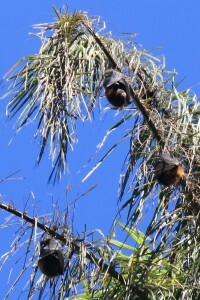 At at dusk, these bats can be seen flying west through the downtown area and between the tall buildings in the CBD (Central Business district) of Sydney. Some seem to go straight west but others are flying back and then turnaround and head west again. We are talking upto 40,000 bats flying over several hours at dusk. 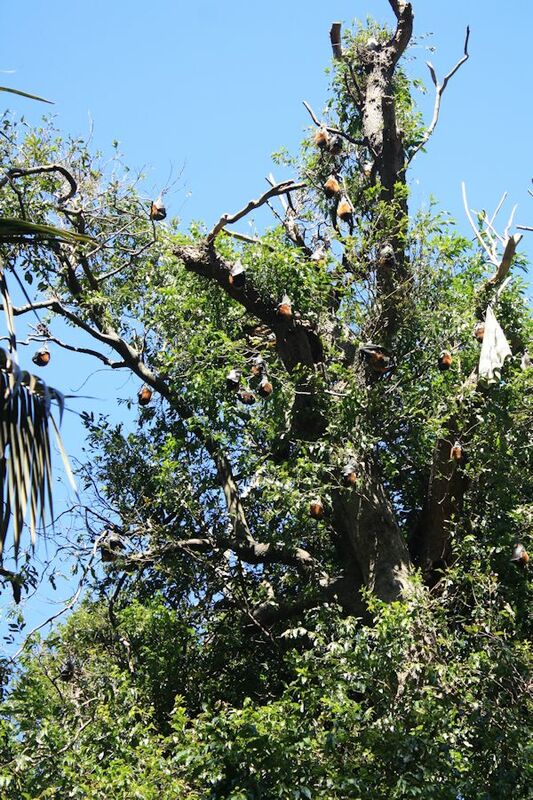 The bats live in the various trees in the park. We noticed that the staff at the gardens were setting up mist nets to catch the bats as they flew out at dusk. The sign said that this was for banding and identifying the bats but considering the number of bats residing there I would guess that they may be gently culling the numbers back to a reasonable population.